Vigilance and participation is needed to keep our marine trades working here! You are encouraged to attend the following meetings, write to the commissioners, and speak during public comments. 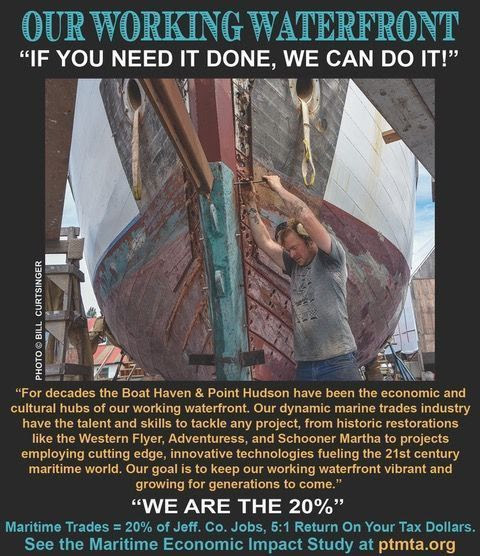 May 3, 3019: Friday 5 – 8 pm, Working Waterfront Celebration ! PTMTA Annual General Meeting shall be held in November of each calendar year. County Commission meetings are held the first four Monday mornings of the month at 9 a.m.